THE mum of a little girl told to expect the worst as she underwent harrowing treatment for cancer has told of her joy as her daughter prepares to start nursery. cancer that usually affects adults. Her fight to survive saw her almost die in intensive care as one of her lungs ruptured and her liver reacted badly. Air escaped into her chest cavity and breathing became almost impossible. Doctors at the Royal Hospital for Children in Glasgow told her mum Lisa to prepare for the worst. Lisa, 28, from Broomhill, in the city, said: “Ella was so ill and if she didn’t rally they would have to consider switching off her life support. “I broke down and wept, fearing she wouldn’t survive. “It had come after months of chemo and more drugs to lower her body’s immune system to accept the donor transplant. Ella, who was born in May 2015, was diagnosed after weeks of feeling poorly and developing bad bruising over her body. Blood tests suggested leukaemia and a bone marrow biopsy confirmed the diagnosis. 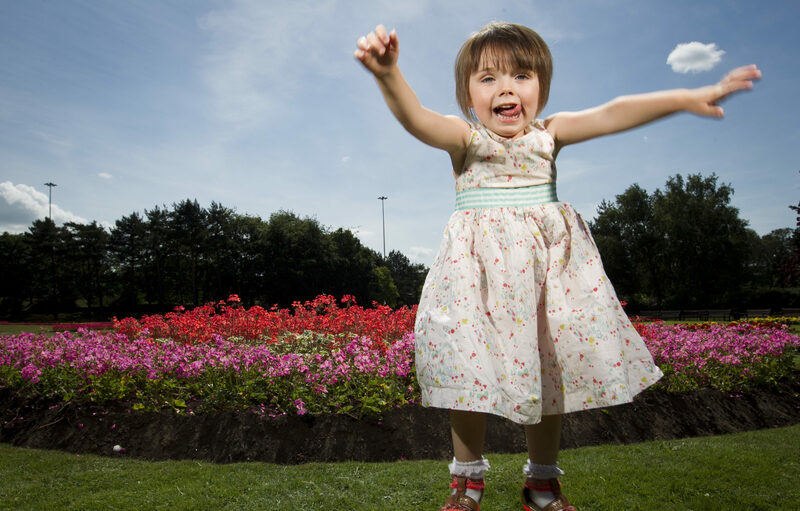 “From the moment we entered the ward of the Schiehallion children’s ward at the children’s hospital in Glasgow, we knew how hard it would be for Ella to survive,” said Lisa. The family were told that only a stem cell donor could save her and, thankfully, one was found within two months. “It was great news but it was to take us to the brink,” Lisa added. Ella’s little body reacted badly to the stem cell transplant. She was transferred to the intensive care unit – where she was to spend four months – but even a ventilator failed to deliver enough oxygen to her lungs. Doctors moved her to a more sophisticated oscillator machine. “But one of her lungs ruptured as it had endured too much,” Lisa said. Against all the odds, little Ella rallied overnight. And, amazingly, within two weeks she was back on the ward and watching cartoons on the TV. Since then, blood tests by the hospital’s cancer team have shown Ella to be cancer-free. Now she is looking forward to starting nursery next month. “As she steps through the doors of nursery next month it will be another milestone back to happiness,” Lisa added. She is now appealing for donors to join the Anthony Nolan donor register, the charity that found Ella’s donor. “It will be wonderful if I can help save others,” said Lisa. Child cancer specialist, Dr Martin English, said: “It is gruelling treatment for any child to go through.